STATE QUARTER CUFFLINKS, $22. These conversation starting cufflinks make me kind of wish I could wear a suit. Luckily for the ladies, they make rings too. JOHNNY CASH NECKLACE, $42. This necklace goes with everything. The combination of Johnny Cash and the reminder to keep a close watch on your heart- well, that's an irresistible combination. SILVER BULLET RING, $59. Made of sterling silver with a 9mm Win Luger bullet head holding a clear Swarovski crystal, this little ring has some attitude. Plus, a portion of the proceeds will go to the Wounded Warrier Project. Crafted in Kentucky, what's not to love? 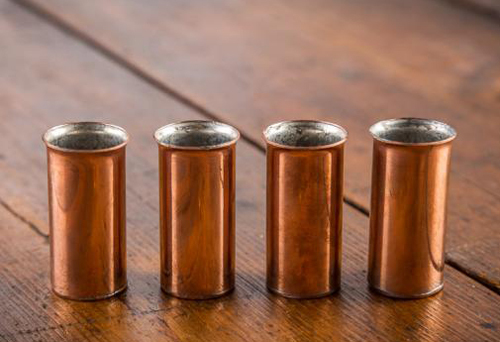 COPPER SHOT GLASSES, $125. The day these arrived in the office, our eyes lit up. Look how shiny! Oh, and they're surprisingly heavy. We did everything short of cracking open a bottle of whiskey to test them out. What? ...It was noon, y'all. FOUR LETTER WORD BRACELET, $25. Racy or sweet, this bracelet is available in the four-letter word of your choosing. Yeah, your mind went a little wild, didn't it? Ours did too. Focus ladies, focus. Some wholesome suggestions: Hope, Love, Y'all.... and some not so sweet. We'll leave that to you, mom might be reading. 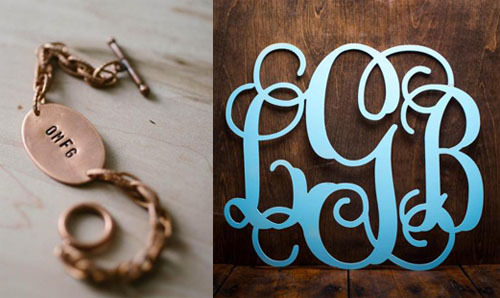 MONOGRAM DOOR HANGER, $30. The old joke is Southerners will monogram anything that sits still long enough and whether you're claiming a dorm room door or a bedroom in your house, this is a lovely way to be defined by your initials. BROTHEL TOKEN WISHBONE NECKLACE, $60. My secret is out now. This necklace- made in Milton, Georgia by one half of the Angel Court jewelry operation- is my favorite thing on our site. I can't say I own one yet, or that mom would be entirely proud to see me wearing it, but I think it's perfect in every way. 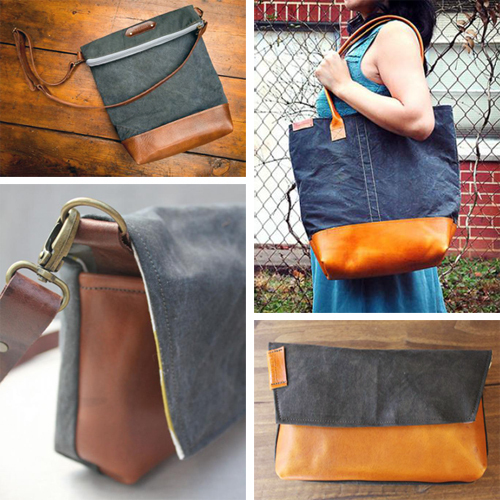 R RIVETER MILITARY BAGS, from $195. When you spend big money on a high quality handbag, you justify it by considering how long it will last, right? Good things aren't cheap. But this military bag has the added bonus of supporting hard working military spouses in Georgia. Even better. MASON JAR LIGHTS, $69. Those white Christmas lights can stay strung up on a Southern porch all year long, that's acceptable. But mason jar lights? Now, THESE have personality.